Vibration is undesirable in many domains, primarily engineered systems and habitable spaces, and methods have been developed to prevent the transfer of vibration to such systems. Vibrations propagate via mechanical waves and certain mechanical linkages conduct vibrations more efficiently than others. 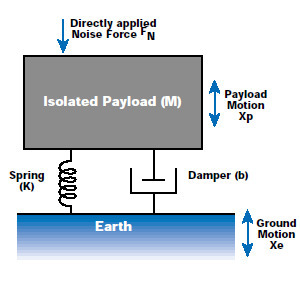 Passive vibration isolation makes use of materials and mechanical linkages that absorb and damp these mechanical waves. Active vibration isolation involves sensors and actuators that produce destructive interference that cancels-out incoming vibration.